Housing minister is proud of funds being transferred to construction in Judea and Samaria, calls it a 'necessary' step. The Minister of Construction and Housing, Yoav Galant (Kulanu), took part last night in the celebrations marking the end of the summer in the Binyamin community of Beit El. "Settlement in Judea and Samaria is a symbol and a central expression of the Zionist hold of the Jewish people in the Land of Israel, and I am happy that this is penetrating all levels of the entire public and this understanding is seeping in," Galant told Arutz Sheva. "In the end, we are moving in all directions. I know how many units we approved in Beit El, more than 500, which is something that has not happened in 20 years. It happened in other regions and I am proud of it. " "For me, settlement, security and agriculture are the same. So it was my whole life, in the army and in civilian life, and I will work to advance the issue of settlement in Judea and Samaria as I do elsewhere," added Galant. 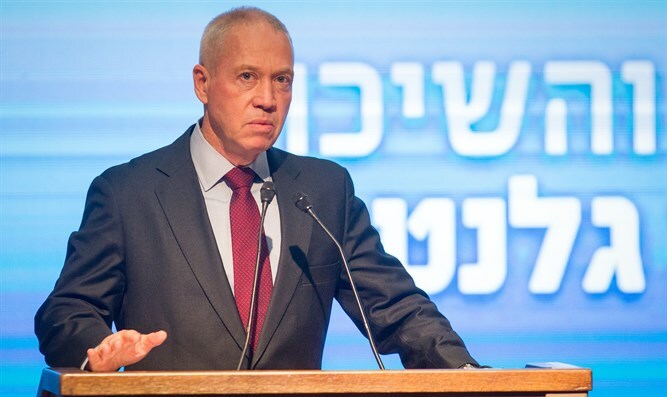 He refused to comment on whether he intends to run in the next elections as part of the Likud list, and not in the Kulanu party for which he serves as a minister.